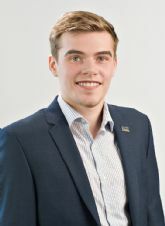 Born and raised in Moncton, Kyle has witnessed the growth the Greater Moncton area has been experiencing and knows owning property here is one of the great privileges of life. With many years of local sales and management experience, Kyle knows the importance of treating clients like family. With his passion for helping people, Kyle is ecstatic he now gets to combine his love for Real estate and his dedication to helping others. Whether you are down sizing, buying that dream house or a first time buyer, Kyle knows this process can be both exhausting and stressful; he is committed to making quite possibly the biggest financial decision you may make; fun, exciting and rewarding. He is also committed to keeping you well informed every step of the way. Having your best interest at heart and helping you reach your goals.